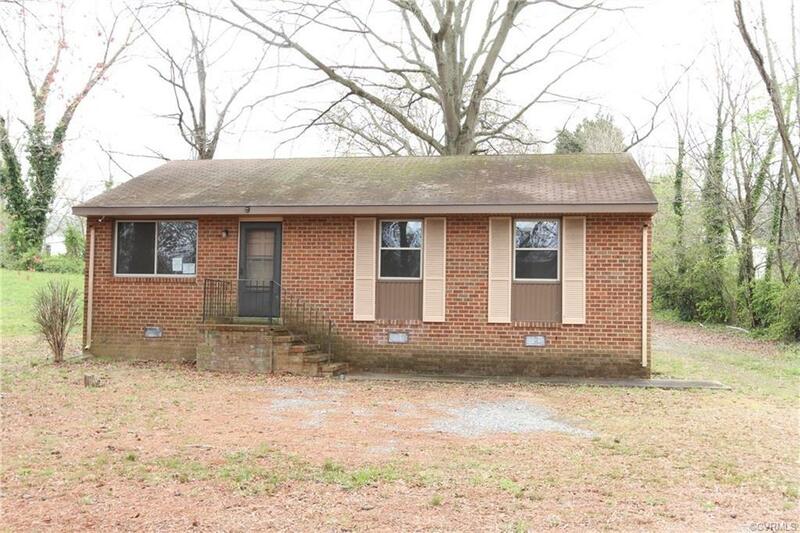 This charming brick rancher has lots of great potential and is just waiting for your personal touch. Seated on a nice large lot, this home will offer its new owner plenty of inspiration to create an amazing indoor and outdoor living space. This home offers a nice size living room that leads to a large, open kitchen with an eat-in area. The kitchen is adjacent to both the living room and the laundry area for convenient access throughout the home. This lovely home features three bedrooms, enabling you and your family members to have their own space. Adding some fresh paint to the home, with, perhaps, a few accent walls and new carpeting will help to bring out this home’s charm and appeal. This will surely be a great place to call home, once you've finished adding your own personal touches. An FHA loan with a repair escrow or a renovation loan will help you to make some improvements to the home, such as, perhaps, updating the kitchen and bathroom, to truly incorporate your personality into the home. HUD homes are sold as-is, with no guarantee or warranty by the Seller or Listing Broker.